From Hollywood to the halls of Congress, a lively conversation about women's leadership, equal pay, and family-work balance is underway. On the cusp of a historic breakthrough-the potential election of America's first woman president-Nancy L. Cohen takes us inside the world of America's women political leaders. Drawing on hundreds of hours of interviews with women governors and senators from both parties, experts, political operatives, and a diverse array of voters, Breakthrough paints an intimate portrait of the savvy women who've built an alternative to the old boys club and are rewriting the playbook for how women succeed in politics. In this accessible and often surprising story, Cohen introduces us to the inspiring women behind the women who have brought us to this threshold, and to a dynamic group of young leaders who are redefining how we think about leadership, feminism, and men's essential role in achieving gender equality. 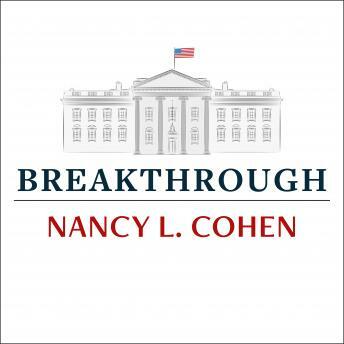 Breakthrough takes on our cultural assumptions to show that the barriers that once blocked a woman's ascent to the presidency have fallen, even more than we realize.